Vetter Price PC has an article meant to inform you about all the local sick leave ordinances in the State of California that you as an employer need to be aware of. The piece entitled “California Corner: Achoo! 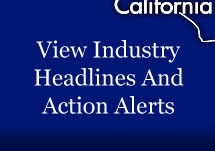 New Local Paid Sick Leave Ordinances are an Epidemic in California,” can be found by clicking here.